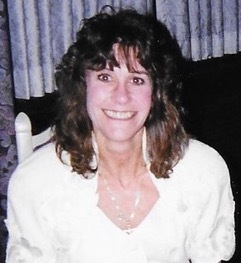 Kathleen “Kathy” Lee (Winters) Steineger, 66, of Kansas City, KS passed away March 1, 2019. Kathy was born in 1952 in Lawrence, KS to her loving parents, George E. Winters Jr. and Norma Lee (Loske) Winters. She welcomed a baby brother to pick on, George E. Winters III, in 1956. Kathy graduated from Shawnee Mission North in 1970 and went on to attend Stephens College in Columbia MO, where she earned an associate degree in psychology. She pledged as a Pi Phi and graduated from the University of Kansas in 1974 with a Bachelor of Science degree in journalism. Kathy worked as an executive assistant, fitness instructor, restaurant operator and realtor over the years, but her favorite job was being a mother. Family always came first for Kathy, and she welcomed her daughter, Kisha Kristine, in 1982. Kathy loved spending time with family, animals and being outdoors. She was known as the “smiling runner”(who runs at 5am??) by her neighbors when she and Kisha lived at Lake Quivira, and continued the tradition when they moved to KCK. She also loved to swim, lay out in the sun and she took after her grandmother and was an excellent baker, even if her pies weren’t very pretty. Kathy was a loyal supporter of the ASPCA, St. Joseph Indian School, and Saint Jude’s Children Hospital. She was also a member of Conservative Capitalists, the Monday Club and the Garden Club at Lake Quivira. Kathy is perfecting her golf swing with her father “Big Daddy” George, maternal grandparents: “Daddy” John and Hazel “Nonnie” Loske, paternal grandparents: George “Pop” and Marie “Mom” Winters, and many other beloved family members. She is survived in the hearts of all those who knew and loved her, but will be missed the most by her mother, daughter, brother and aunt Elaine “Boo” Street. A celebration of life will occur on April 28, 2019 from 2pm-4pm at Lake Quivira. Due to the location, RSVPs will be required by leaving a message on Tribute wall of obituary. In lieu of cards or flowers, her family requests that you share a favorite memory of Kathy. Memories may be shared electronically or written and brought to the celebration. If you wish, you may also make a contribution to one of her favorite charities listed above. Her family appreciates your support and respect to their privacy during this time. There's still time to send flowers to the Celebration of Life at the Lake Quivira/ RSVPs will be required by posting on this website at 2:00 PM on April 28, 2019.